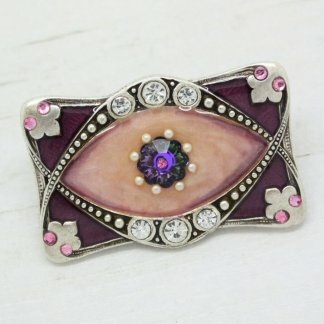 I’m happy to offer for sale this stunning Pierre Bex brooch. 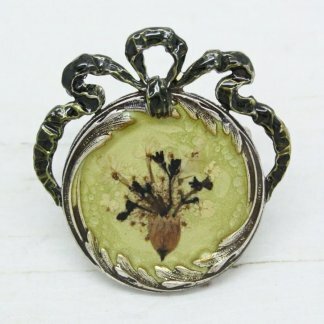 This unique piece measures 3.7cm at it’s widest point. 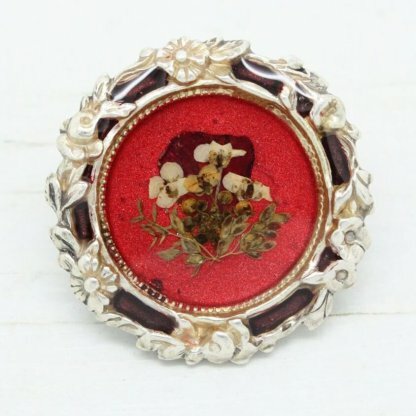 Featuring a beautiful ornate floral detailed frame with a hand-laid red enamel centre with real dried flowers. 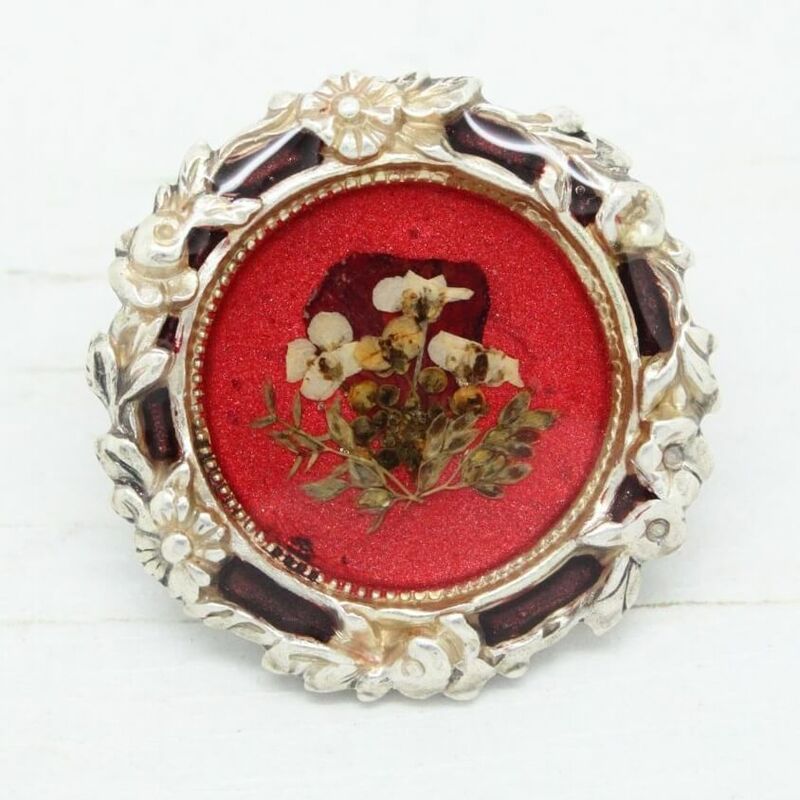 This brooch is very pretty and will add a great vintage look to any outfit. Complete with a French barrel lock fastener, in prefect condition showing slight to no wear, it appears unworn and ‘new’. Confirmed Pierre Bex although unsigned, imported direct from France & can be found in the Pierre Bex catalogue. All Pierre Bex items were made in France from 1969 until the end of the 1980s. Each piece is handmade in France from original stampings dating back to the late 1800s. The jewellery is no longer in production as the factory is now closed, which means that it is becoming increasingly difficult to find, especially the more exquisite pieces such as the birds which where produced and Art Deco designs. 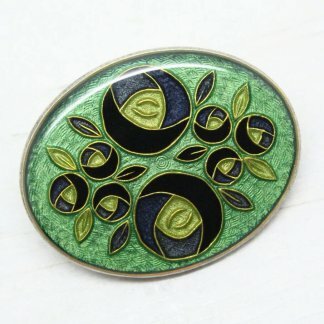 The Art Nouveau and Art Deco design jewellery is then silverplated with an antique finish, nickel free warranty, and is then enamelled and set with crystal rhinestones. The brooches / pins all have the French barrel lock fastener and are sometimes signed ‘Pierre Bex’ on the back. Although these pieces are later reproductions of early to mid 1900s style, they are considered vintage pieces and certainly look the part with there very high quality production, the use of the original toolings and plus the best materials give these items a great value. Condition: Vintage – In prefect condition showing slight to no wear, it appears unworn and ‘new’.